If you have got this far, you will probably need no persuading that our street trees are an incredibly valuable feature of our local environment; no persuading that they soften the edges of our bricks and mortar streets; no persuading that they keep us in touch with the passing seasons, cheering us as they green up and bloom in spring, cooling and shading us in the heat of summer, and providing a riot of autumn colour. And no persuading that street trees help to keep our air fresh and clean, shield us from the noise and nuisance of traffic, and provide a whole ecosystem for both humans and non-humans. Certainly this was the view of two residents of Brockley in 2011. 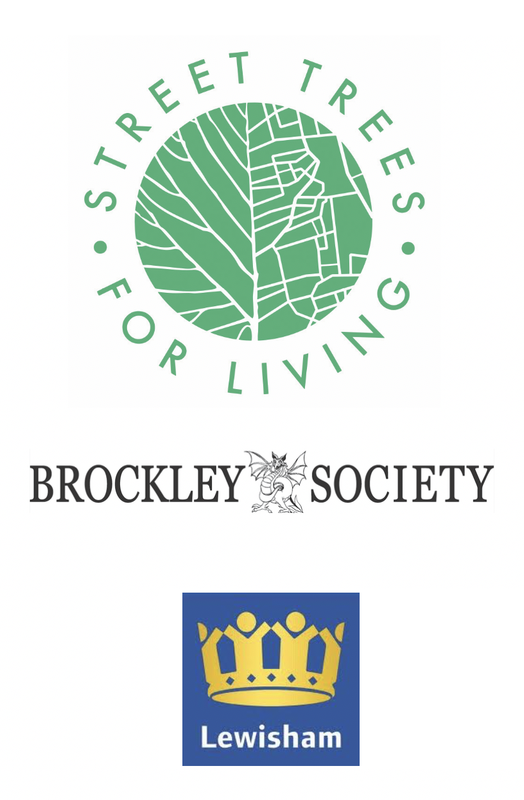 They were appalled by the steady loss of street trees in the conservation area, and started Brockley Society's street tree campaign in partnership with Lewisham Council. Its name is now Street Trees for Living and we have now planted over 600 street trees in half the wards of the borough. We are all volunteers and work with an ever-expanding group of engaged local residents and business all committed to greening our streets. In recognition of the impact we were making in Lewisham, we were honoured to be the recipients in 2016 of the Forestry Commission's London Community Tree Award (photos here), and in 2017 a Lewisham Mayor’s award for voluntary contribution.